I am currently reviewing Bluetooth headphones for my LG Webos based smart TV (43LJ617T). I saw a lot of forums and blog posts discussing about this proprietary technology in LG TVs called “WIRELESS SOUND SYNC” which only allows (actually restricts) headphones supporting this technology and all the other headphones don’t work with it. There are also reports from people which say, they were able to pair their headphones with the TV, but no sound would come from the phones. 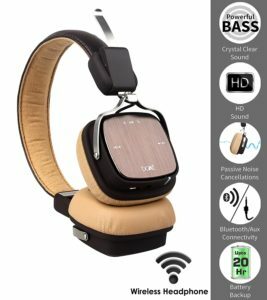 I have found no headphones in my research which support the LG TV WIRELESS SOUND SYNC feature, accept some premium LG headphones. So I decided to finally check some Bluetooth headphones with my TV and check for real what the issue is. Turns out all this TV WIRELESS SOUND SYNC gamut is really a farce. I tested a very basic BoAt Rokerz 600 headphone shown in the picture here and it just worked. The connection was straightforward and sound was streamed without any issues. This is a pretty basic headphone and their site doesn’t even mention what version of Bluetooth these headphones are made for. I did a quick BLE scan from my android phone using a scanner app (there are plenty on the playstore) and though many other devices showed up under BLE, The BoAt headphone shows as a Bluetooth Classic device. That concludes, my TV works with a headphone with less 4.0 Bluetooth version. I see no reason why it would not work with any version and make Bluetooth headphones, as my TV is a 2017 model (BLE came in 2013). So anything audio + Bluetooth should just work. I have reached to the conclusion that all the fuss about LG WebOS TVs not supporting headphones without some magic wireless tv sync technology is absurd and unbelievable. Ill update this post once I review a Bluetooth headphone with BLE support i.e. Bluetooth > v4.0. Update 1: I ordered a Meizu EP51 bluetooth headphone from Gearbest. Works perfectly with my TV. Sounds really good and there is no audio delay from TV to the earphones. This is Bluetooth4.0+EDR headphone. Update 2: A cheap KZ Bluetooth audio cable for KZ wired headphones too works fine with this TV I own. 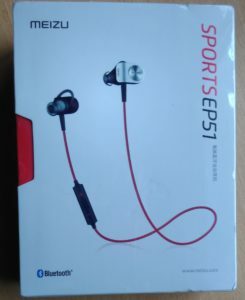 A Bluetooth version: 4.1 device. I spoke to one of the LG store guy and he says If your TV model is 2017 or above (with a WebOs version 3.5 and above). Any Bluetooth 4.0 or above headphones should work. That’s all for now, if you have any more info around this, leave your comments below. That’s sad. Also looks like your TV has an older version of webos. Its webos 2.0 While the one I have is WebOs 3.5 or beyond that. Do check if there is an OS update available for your TV. I have 3 BT headphone, one from Boat same as yours, second called KZ a purely Chinese (ought to be cheap audiophile :D) brand and the last is Meizu (definitely Chinese) brand. They all work without any issue with my smart TV. I have Lg 43 UJ630V UHD 4K TV. I’m going to buy Sony WI-C300 headphone. Do you think it works ? It has 4.2 bluetooth version. My WebOs version is 3.7.2. If your tv model is beyond 2017 it should work. Also you should have an update available to webos 4.5. May be thinks have changed. I have a LG 42LB650V-ZN and two Bluetooth headphones: a Sennheiser PXC 550 and a JVC HA-S90BN. I spoke to the LG store guy and he says If your TV model is 2017 or above (with a WebOs version 3.5 and above). Any Bluetooth 4.0 or above headphones should work.